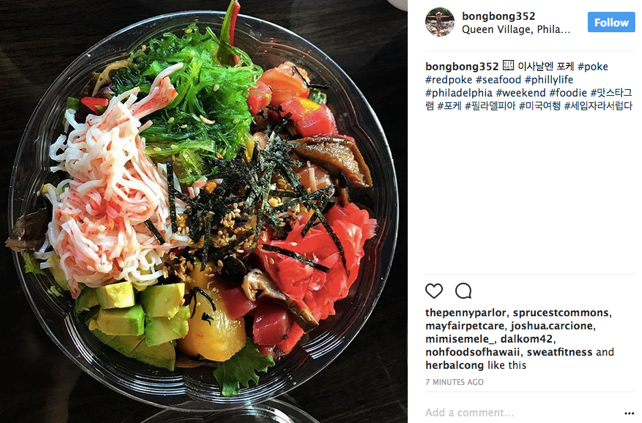 Millennials in particular are fuelling an extreme grocery makeover, as half of these young adults–who represent an eighth of the entire U.S. population–say they are enthusiastic foodies. Each month Millennials spend an average of $797 on groceries, more than any other generational group. This finding is likely because many older Millennials now have children; younger ones have fewer financial obligations, meaning more disposable income.1Skrovan, Sandy. Millennials spend more on groceries than older generations. Food Dive. July 24, 2017. In addition to being influential, these young consumers are also adventurous with their cuisine. More than 40% of Millennials are likely to try a trendy food, including healthy dishes like spiralized vegetables.2Premack, Rachel. Men drinking craft beer, women eating quinoa, and other millennial foodie trends, ranked. The Washington Post. July 18, 2016. To share their sumptuous masterpieces with friends, 40% of Millennials have posted photos of their food on social media.3Hardwick, Natalie. 10 food trends for 2017. bbcgoodfood.com. 2017. In an effort to spark user-generated content on Instagram, Facebook and Pinterest, more suppliers are developing unique, innovative products with aesthetic appeal, such as rainbow bagels, black burger buns and blue algae coffee.4Hardwick, Natalie. 10 food trends for 2017. bbcgoodfood.com. 2017.5Premack, Rachel. Men drinking craft beer, women eating quinoa, and other millennial foodie trends, ranked. The Washington Post. July 18, 2016. As proof of consumers’ desire for visual decadence, Brooklyn-based ice cream brand Van Leeuwen’s sales grew by an impressive 50% after the company redesigned its packaging specifically to appeal to Millennials and Gen Zs on Instagram and Pinterest.6Quito, Ann. A Brooklyn ice cream brand increased sales by 50% after it redesigned its packaging. Quartz. March 30, 2017. As we recently explored, shoppers crave handcrafted artisan foods and beverages. The National Restaurant Association’s 2017 Culinary Forecast confirms this trend, citing growing consumer demand for artisan ice cream and cheeses, as well as artisan soft drinks, craft spirits and culinary cocktails.7What’s Hot Culinary Forecast. National Restaurant Association. 2017. Earlier this year, Kroger purchased New York-based Murray’s Cheese, a chain of artisan cheese shops, as the grocery retailer expects the specialty cheese market to surge in popularity.8Shoup, Mary Ellen. Kroger acquires Murray’s Cheese. Dairy Reporter. February 7, 2017. Due to growing demand for higher quality meat and more charcuterie, butchering is generating more buzz, as consumers want to source their meat from local farms that treat livestock with greater care. Consumer demand for superior quality and transparency has prompted shoppers to pay higher prices, and helped local, artisanal butchery re-emerge in the U.S. market.9Spyrou, Constantine. Look Out For These Major Food Trends Of 2017. FoodBeast. January 3, 2017. In addition, demand for exotic meat, such as wild boar and elk, appears to be rising and industry experts say this trend will continue as foodie culture grows.10Sagan, Aleksandra. Exotic meat demand rising as chefs cater to the latest foodie craze. CBC News. 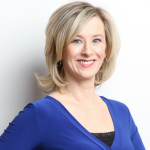 September 13, 2017.
International product diversity is spicing up grocery aisles, as more Americans are travelling abroad, and sampling new and exotic foods, including oysters from Ireland and Middle Eastern fusion cuisine led by Persian influences.11Leigh Smith, Dana. 17 Food Trends You’ll See in 2017. Eat This, Not That. As a result, food suppliers are now focused on injecting more innovation, adventure and ethnicity into new products to delight consumers’ appetites for foreign foods.12Chen, Evelyn. The hottest food trends for 2017 from the hottest chefs. CNN.com. January 25, 2017. 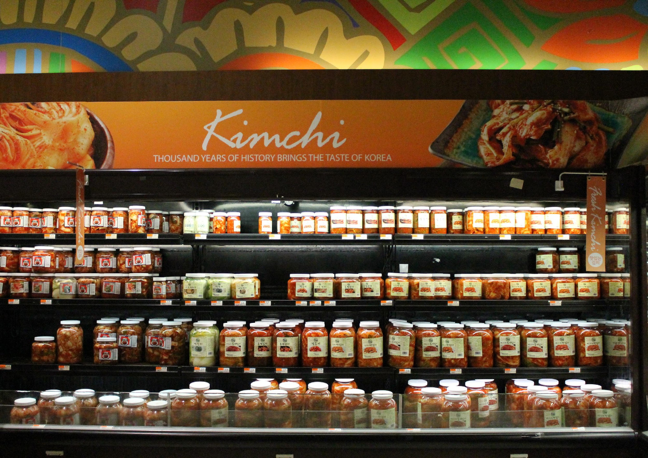 In addition, the growing Hispanic and Asian populations in the U.S. drive demand for ethnic products, which prompted H-Mart to specialize in Asian grocery items and Winn-Dixie to open Fresco Y Más branded stores in South Florida to entice Hispanic shoppers. 13Loria, Keith. How catering to ethnic populations can spice up shopping and profits. Food Dive. February 2, 2017. To impress discerning shoppers and to celebrate flavorful food, some retailers are collaborating with recognized talent, including celebrity chefs and culinary professionals, to add pizzazz to their stores’ prepared meal offerings. For instance, Whole Foods recently collaborated with Top Chef finalist Melissa King for ready-to-eat meals at the hot and salad bars, plus ingredient recommendations for exquisite entrées.14Tuder, Stefanie. NorCal Whole Foods Now Carry Top Chef Alum Melissa King Recipes. Eater San Francisco. May 5, 2016. Beyond the benefits of enhanced quality products, partnering with culinary talent can provide retailers with a ‘wow’ factor that drives word of mouth, social media shares and sales.15Supermarket Prepared Foods: 7 Surprising Trends for 2017. Boggiatto Produce Inc. 2017. To save money and calories, consumers are choosing to cook at home more often.16Quint, Maura. 2017’s Huge Food Trends. The New Yorker. February 1, 2017 For instance, the 50 million strong Gen Z cohort is more likely to eat fresh, healthier home-cooked meals. As a result, sales of fresh oven-ready meal kits and vegetable medleys are growing, as consumers seek the convenience of fast, easy and affordable help with preparing their dishes.17Petersen, Hayley. Whole Foods predicts the 8 biggest food trends of 2017. Business Insider. December 6, 2017. Supermarkets allotting more space to meal kits include Kroger, Giant Eagle, Coborn’s and Whole Foods.18Pearson, Bryan. Kroger’s Meal Kits Could Make A Meal Of The Industry. Forbes. May 17, 2017.